Professor Springer, one of Britain ‘s leading philosophers, is brutally murdered on the steps of a London university. 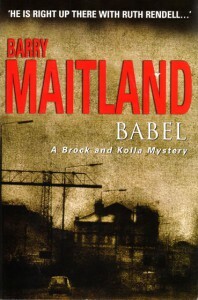 The brilliant duo DCI David Brock and DS Kathy Kolla return to solve the crime. Professor Springer was well-known for his stand against fundamentalism, but was that reason enough to kill him? David Brock and Kathy Kolla start looking for answers in London ‘s Arab communities, but perhaps Springer’s enemy can be found closer to home. As suspicions fall on the factions within the university, Springer’s colleague, the Professor of Genetics, becomes involved. Is he as dangerous and unethical as he seems? Brock and Kolla work closer than ever before, sifting through the clues to find the real killer before further violence erupts.